CAMI Automotive Inc. (CAMI) in Canada, the automobile manufacturing joint venture company of the Suzuki Motor Corporation (Suzuki) and the General Motors Corporation (GM), started export of the SUV "XL7" to Latin America. 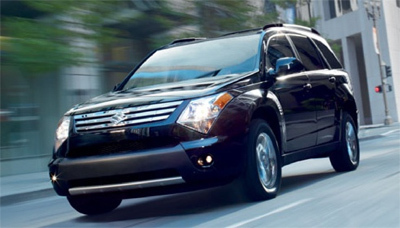 The "XL7", a midsize crossover SUV that accommodates up to seven persons, was launched at New York Auto Show in April 2006 and its sales has started in the U.S. and Canada since October 2006. The XL7 has 3.6 litre, DOHC, V6 engine which is produced in the Sagara Plant. The CAMI currently produces three SUVs, the Suzuki "XL7", the GM "Chevrolet Equinox" and the GM "Pontiac Torrent" and its total production plan of the "XL7" in 2007 is 45,000 units.